Jim at work in 1989 at AHS. 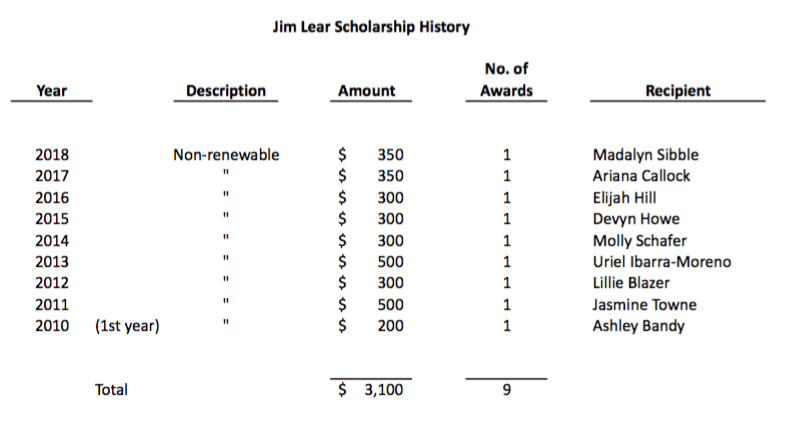 Jim Lear graduated from Alliance High School in 1966. After attending Wittenberg University, where he played football, he received his Bachelor’s Degree in Education from Kent State University and his Master’s in Education from Ashland University. Following completion of his studies he returned to AHS where he taught for over-thirty one years and coached the swim team until his untimely death in 2009. Jim was a well-loved and respected teacher who was the recipient of numerous teaching awards. He is described as having a passion for teaching which he utilized to inspire his students. He is, perhaps, remembered most for his humor, always having a smile on his face and a hug for those who needed it. Students who took his Sociology class fondly remember having to marry someone in the class and plan their future together including how they would settle their differences. Another of Jim’s life teaching exercises was affectionately referred to as the “egg babies”. The activities that Jim was involved with outside of school also focused on teaching young people. In addition to coaching the AHS swim team, he coached the Elks summer swim team and little league baseball. He was also involved in the Ulster Project for many years including two years as the director. This scholarship in Jim’s memory is a result of contributions made by family, friends and former students at the time of his passing and has the continuing support of his son Aaron. Jim’s colleagues advised that he appreciated average to above average students who applied themselves and worked hard. As such, that is the type of student the Foundation’s Scholarship Committee seeks in awarding this scholarship.